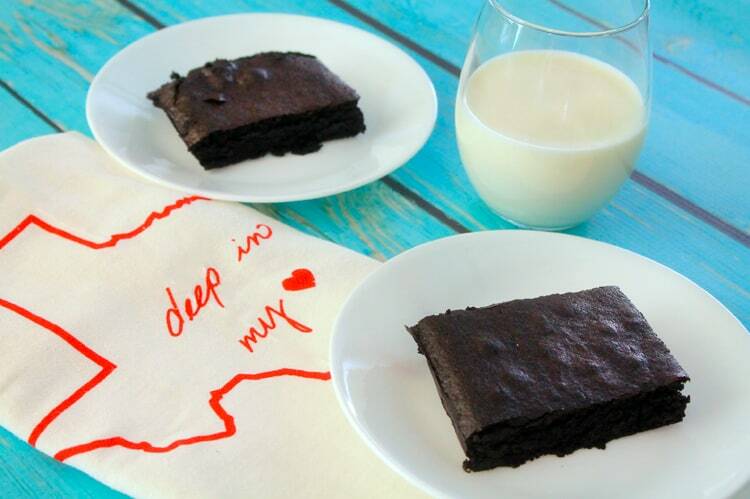 Brownies for Two made with deep, dark black cocoa. They make the perfect-sized dessert for you and your honey, in a matter of minutes! If I made a list of some of the most joyous things in life, there’s a few things it would absolutely have to include; Evan’s cheeky smile when he knows he’s up to no good, ooey-gooey, fudgy brownies, and seeing your friends’ dreams come true. I’ve known Christina from Dessert for Two for years, though I’m not actually sure how we found each other. What do I know? We’re both proud Texans with a deep love for tortillas, pecans, and bluebonnets. That we both love to bake. And that maybe we both cried the first time we held her book, Dessert for Two, in our hands. It’s a heady thing, when a friend you hold dear in your heart has one of her dreams come true. As long as I’ve known Christina, I’ve known that she wanted to write a book. And be on TV. And she’s accomplished both those things since writing Dessert for Two. Hooray for having the courage to pursue your dreams! But I’m here to tell you, even if I didn’t know Christina from Adam, I would adore this book. The recipes are solid. Each one I’ve tried has come out perfectly the first time. The directions are spot on, even for beginners. And there are so many Southern treats throughout the book – from Divinity to Peach Pie Bars, German Chocolate Cake to Tres Leches Cake, it’s all here; just sized down to two perfect servings. True story, though: if I could choose, I’d probably choose a brownie over most any other dessert. Uncomplicated, unadulterated – just chocolate, in all its glory. That’s why the original name of this blog was Bluebonnets & Brownies. 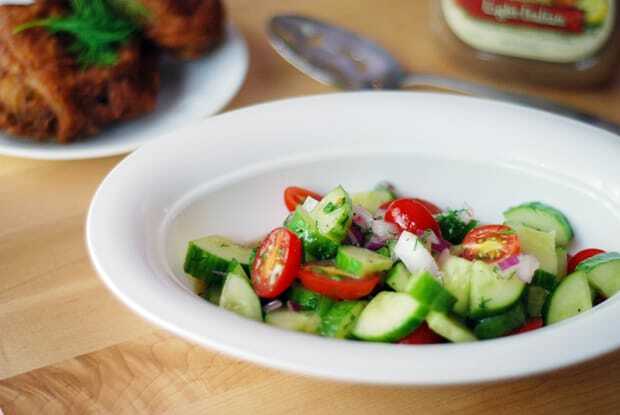 It seems only fitting that I share Christina’s amazing recipe (like, you could make it every. single. night. and never get tired of it amazing) for brownies that serve just two people. And they’re not little squares, either. Big ol’ restaurant-style brownies that you can top with vanilla ice cream or eat straight from the pan – your choice. I’m pretty sure you’re going to make this recipe at least once a week. 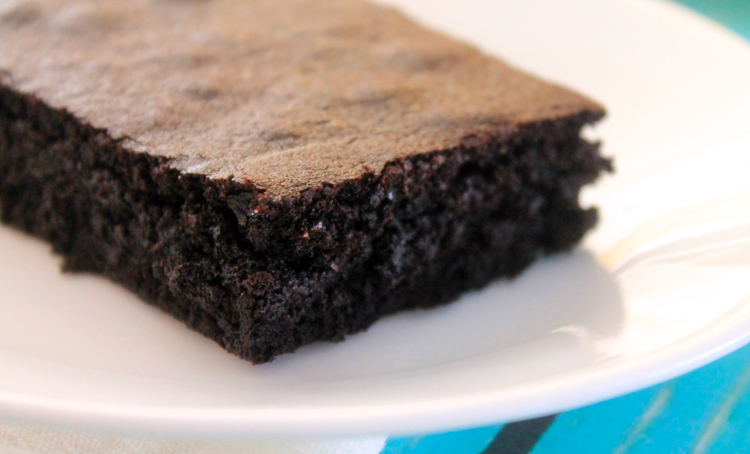 Just two brownies at your fingertips, friends. It’s a magical thing. And quite addicting! 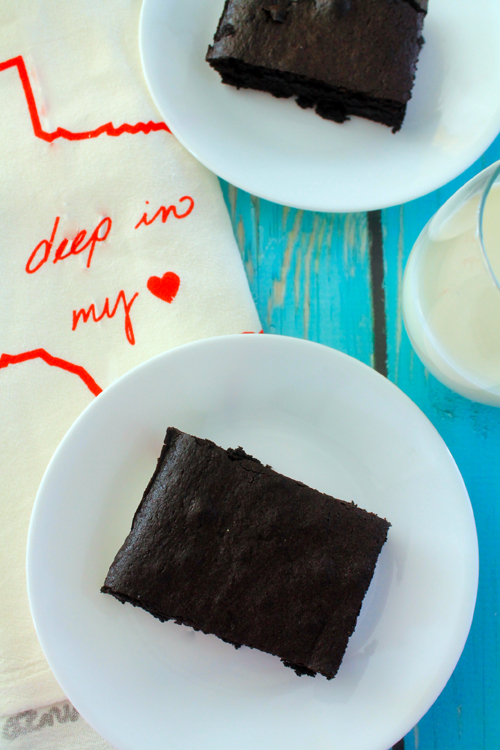 Brownies for two with deep, dark chocolate. They're so good you'll be making them twice a week! 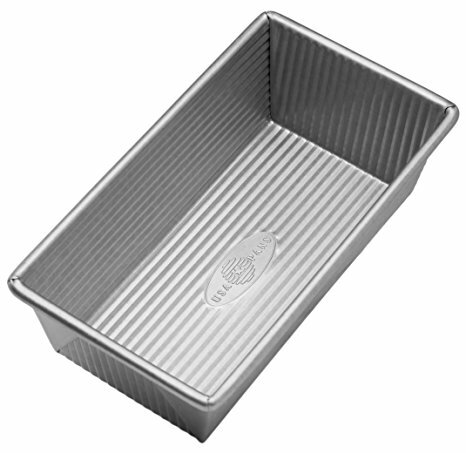 Line a 9x5x3-inch loaf pan with parchment paper. If baking in a regular sized oven, make sure your rack is in the lower 3rd of the oven. (I baked mine in my Breville Smart Oven). Preheat the oven to 325°F. In a microwave bowl or extra large measuring jug, combine butter, sugar, and cocoa powder. Microwave in two 30 second intervals, stirring between each blast. Stir this very well, then add salt and vanilla extract. Continue stirring for one minute to allow the mixture to cool down. Add the egg and stir until it's mixed in well. Sprinkle the flour over the batter and mix it in gently - with about fifty brisk strokes with a wooden spoon. Pour batter into the prepared loaf pan and spread with a spatula to even it out. Bake for 23 minutes. Check with a toothpick for doneness - it should have moist crumbs when inserted and removed from the center. Let cool completely in the pan, then remove and slice in half to serve. From Christina Lane's Dessert for Two cookbook. To achieve the dark color, I used a mixture of regular Dutch Process cocoa and Black Cocoa, which can be purchased from King Arthur Flour. Disclosure: I purchased my copy of Dessert for Two, and all opinions of the book are my own. There are Amazon affiliate links in this post. If you purchase anything after clicking the link, I will receive a few pennies for referring you over. The Breville Smart Oven is the bomb. i use it for all sorts of baking at home. So convenient, and accurate! Thanks for the recipe. I added a 1/4 teaspoon of espresso powder. Really helps to bring out the chocolate flavor.